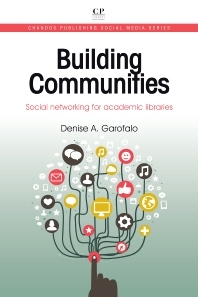 Why social media for academic libraries? Denise A. Garofalo is Systems and Catalog Services Librarian at Mount Saint Mary College in Newburgh, New York. Denise previously served as Library Director at the Astor Home for Children in Rhinebeck, and held various technology positions at the Mid-Hudson Library System in Poughkeepsie, as well as positions in many other libraries. Denise is a trustee for the Marlboro Free Library in New York and has served on various library committees at the regional and state level. She has presented at international conferences, is a regular reviewer, and writes a column, ‘Tips from the Trenches’, for the Journal of Electronic Resources Librarianship. She is a peer reviewer for the International Journal of Library Science and the Journal of Library Administration and Management, and has written chapters for many library technology books.